Product prices and availability are accurate as of 2019-04-12 02:18:28 EDT and are subject to change. Any price and availability information displayed on http://www.amazon.com/ at the time of purchase will apply to the purchase of this product. Farming Simulator 2013 Titanium invites you into the challenging world of a modern day farmer. 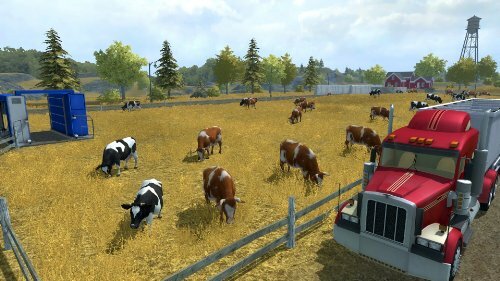 Take on all the challenges of farming life, including animal husbandry (cows, chicken and sheep), crops, sales… it’s up to you to manage and grow your own farm in a huge open world, including an all-new American environment. 1. 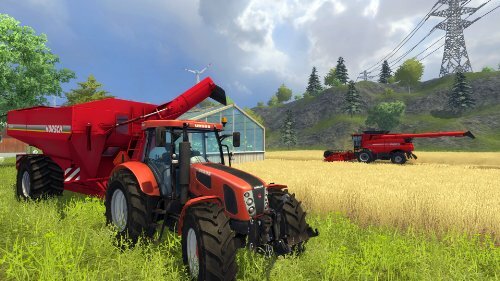 The base game Farming Simulator 2013 and the Standard Activation Key. 2. 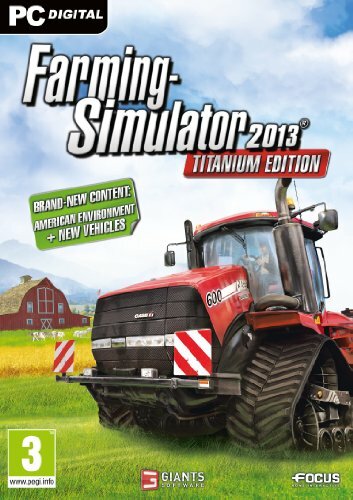 The Titanium Addon* and Titanium Addon Activation Key. *Please install the Titanium Addon after you have installed the base game.